Medical alert devices have been around for a few decades now, but since most shoppers have never purchased one before, they don’t know what to look for. If you don’t know where to start when buying a medical alert system, you could end up with a system that costs much more than you’d planned, to get something that’s not what you need, or to get a system that won’t work when you need it. We found the top six mistakes people make when shopping for a medical alert system. Knowing these common errors will help you find and purchase a system that serves your needs for years to come. Likely the biggest mistake people make when choosing a medical alert system is not doing any research and buying the one with the lowest price. It’s an understandable decision with money often being tight for seniors, but the adage of “you get what you pay for” certainly rings true here. There are several different medical alert companies in the market today, but they’re not all the same and don’t all offer a comparable level of service. Some companies have a reputation of having a call center with a lightning-fast response, where some have reports of clients waiting on a representative in a time of need. Some medical alert systems offer many extra features, while others are very basic. Be sure to look at reviews for multiple medical alert devices so you can decide which one best fits your needs. When it comes to your health or the well-being of a loved one, money should not be the primary concern when making this purchase. As a general rule, medical alert devices cost about $30 to $90 a month. If you find something that’s outside either the higher end or lower end of that cost, it is probably best to look elsewhere. Every year, around 29 million older adults have an injury-causing fall. It’s unfortunate, but there are unethical companies that try to take advantage of people who need a medical alert device. 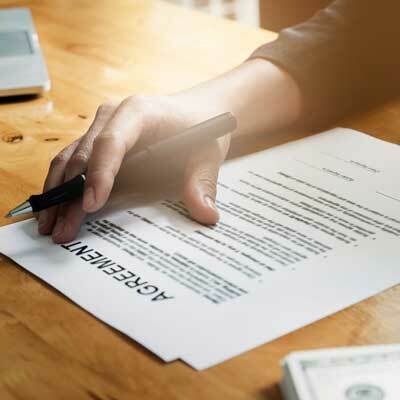 One of the most prominent tactics they use is locking people into an unbreakable long-term contract – even for as long as three years or more. Most people don’t read the fine print when signing up for any service. Moreover, if you’re signing up for medical alert service while a loved one needs medical attention, there’s an even higher chance you’ll gloss over the contract due to needing the system right away. Unfortunately, many people have found themselves locked into a multi-year contract for a medical alert system and end up paying for it long after it’s needed. When you sign up for your service, be sure to find out how long the contract is before agreeing to it. You’ll find most companies have a one-year deal, and you may find some companies that have a flat monthly fee with no contract at all. Almost no medical alert company offers on-site setup and service, so it’s up to the person who purchased it to install it or to have someone else do the task. 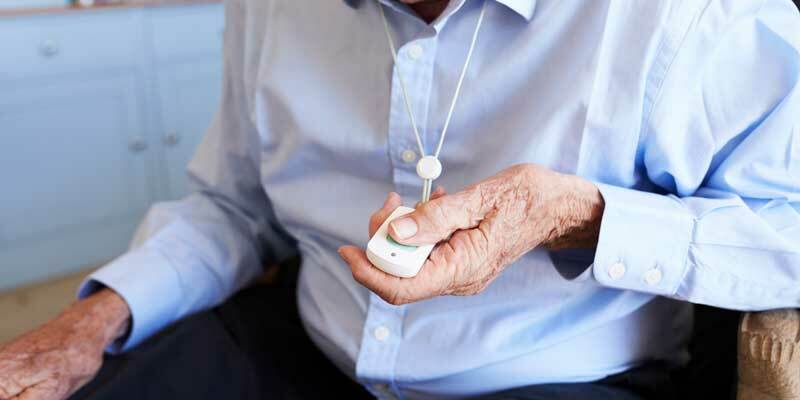 Medical alert devices are a relatively straightforward set up for the most part, but they can be challenging for someone who’s not familiar with technology. This challenge is especially real for medical alert systems with many extra features. If incomplete instructions come with the installation kit, trying to troubleshoot down the road may prove difficult. Be sure to research how difficult or easily various systems install. Talk to other people who have medical alert systems to see how their installation went and call companies to see how they handle tech support. It’s essential to deal with a company you know will be reliable when you need assistance. Landline medical alert systems should connect as simple as plugging it into an outlet and your phone jack. Cellular medical alert systems work by plugging into an outlet. Once plugged in, easy-to-use systems will automatically synch to the cellular connection in your area and send a test signal to dispatch. If you’re using wearable devices like a bracelet or necklace, you should hear voice prompts from the base station telling you directions to test each device. Rest assured that most medical alert systems that are user-installed are not complicated to set up. You need to be on the lookout for companies that sell models that require more than average expertise, however. Some medical alert devices only work at home with a base and landline, some are cell-based and work anywhere. Cell-based devices can pose a problem if some areas in your house have poor cellular service or you live in an apartment or condo where service is poor. Aluminum siding has been known to shield cell signals, so this is a consideration as well. Landline-based services only work in the house, so they pose a problem if you think you’ll need help outside the home. Even if maintaining a signal with your medical alert company outside the home is not a concern, landline-based systems are constrained by the number of square feet the signal reaches. If you have a larger home, be sure to verify the signal strength from the base unit can reach throughout your house. Medical alert systems can have different methods for contact help. Some have a button you can press to summon 911 immediately, and some have a speakerphone that connects you to a company representative. Some devices detect a fall and automatically send an alert for assistance without the user doing anything at all. If you get the wrong system for your needs, you may find yourself in a situation where the medical alert system does no good at all when it is needed most. 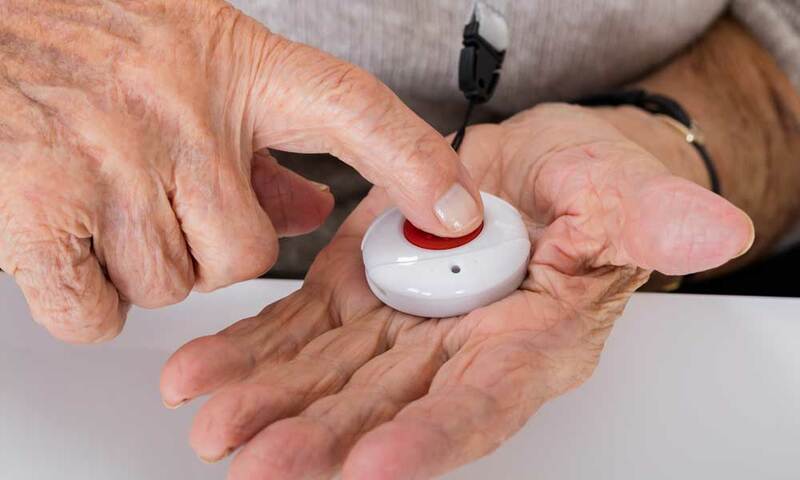 While people who do not live on their own may be somewhat less likely to need a medical alert system, it is foolish to think they don’t need one at all. Family and caregivers have their own lives and aren’t always in the immediate presence of the people they’re helping. Whether it’s because a roommate or family member went to work or the store or they’re in another part of the house, there are times a senior living with others would need to alert someone if they had a medical issue. A medical alert system ensures medical help will always be available, even for people who otherwise have someone looking after them. One of the most critical mistakes people make when shopping for a medical alert system is waiting until it’s too late. In other words, waiting until someone falls or has a medical emergency to decide to get one. Many people don’t consider getting a medical alarm until something happens. They take a “we’ll deal with that when we need it” approach. Beyond waiting until something happens, some seniors actively fight against using a system due to the stigma that comes along with it. Either way, if something does happen and a loved one ends up injured or perhaps even in the hospital, it’s not easy to do the proper research you need. If you’re thinking about a medical alert system, you undoubtedly see a need for yourself or a loved one. Each year, one out of four seniors has a severe fall. Don’t put off putting a medical alert system in place before it’s a necessity. Medical alert devices can be life-saving. Once you recognize that you or a relative could benefit from one of these systems, it is not a time to wait, and it isn’t a time to go cheap. The average emergency medical response time is seven minutes, even longer for non-emergency calls. That means it’s critical to get care on the way as soon as you can. Most of these systems are relatively affordable, and the peace of mind they provide makes it a purchase that’s easily worth the money. Take the time to do your research, keep our list of mistakes in mind, and you will soon have the assurance of a quality medical alert system protecting you or your family member.